Theft reduction. A dimly lit corner is the preferred spot of shoplifters hoping to stash your products under their clothing or into a handbag. Retail lighting that focuses on keeping every inch of your store well illuminated will help deter crime. Showcase products. Some products look more appealing with proper retail lighting, so you can enjoy more sales if you’ve paid attention to showcasing and enhancing them. Pleasant environment. If customers walk in and are barraged by harsh retail lighting, there is the chance they’ll spend less time in your store, thereby spending less. They might not return in the future either, particularly if the lighting gave them a headache. Create a pleasant environment that shoppers enjoy, and you’ll see your profits increase. Energy efficiency. Power can often be one of your largest expenditures, but there are retail lighting options that use considerably less power, so you can increase your net profit. 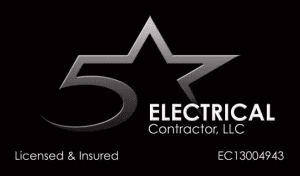 If you would like some advice and assistance with maximizing your profits with the right retail lighting, give us a call at 5 Star Electrical LLC. Our team is sought-after for our commercial electrical expertise throughout the Tampa, Florida area and we can help with solutions for your home, too. Call today to learn more or schedule an appointment to have your retail lighting checked out or other electrical work completed.